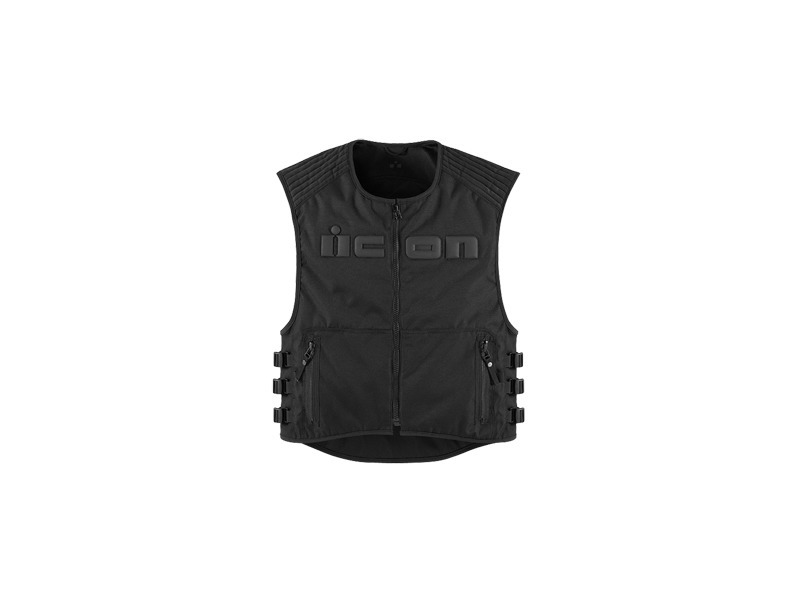 From the leader in armored motorcycle vests comes the Brigand. Consider it a tactical riding rig, capable of doing leather work on a textile salary. 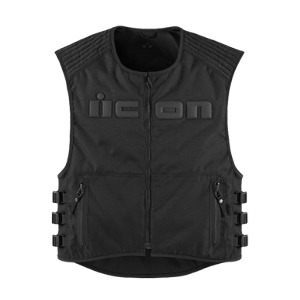 The Brigand, like all Icon vests, ships with a removable back protector. In this case it is a D30 Viper CE approved back protector. This protector lies discretely hidden under the Brigands durable textile chassis until such time as it is called into service. And while no back protector can provide protection from every situation, the D30 Viper will definitely stack the odds in your favor. Additional features of the Brigand include both metal and nylon YKK zippers, torso adjustment straps, and padded AX Suede shoulder overlays for increased durability.